STAC allows for the precision you get from a wind tunnel where minor details can be tested and compared, but expanded it to a much larger audience at a fraction of the cost and time. We see a lot of advertisements and marketing about how Aero everything is and while there is a lot of truth to that, there's also a lot of nuance. In terms of modeling there are many important factors that go into accuracy including weight, accurate power, rolling resistance and, of course, aerodynamics. 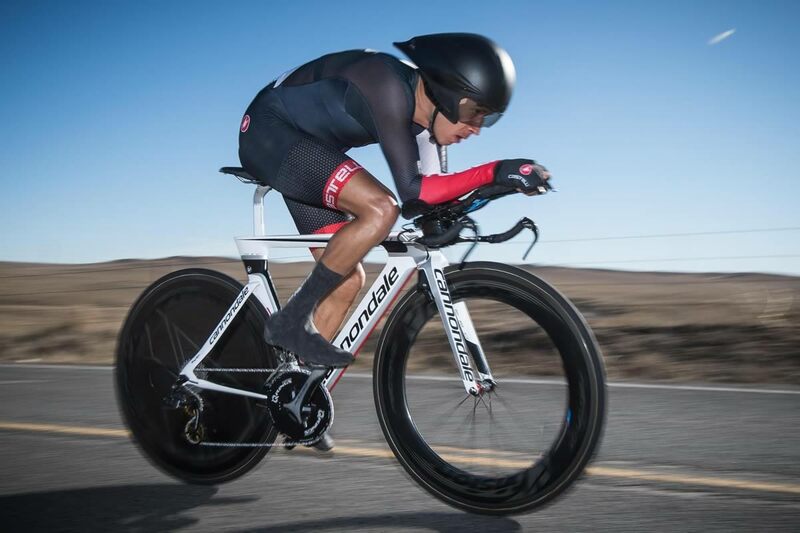 We spend so much time on aerodynamics because the faster an athlete goes the more it makes up the significant portion of the power balance equation (which we have discussed in great detail in the The Aerodynamics of a Bike Fit case study). This is because the power required to overcome aerodynamic drag increases exponentially with speed. The biggest issue we continue to see is that buying all the "fastest" aero equipment does not necessarily mean you will have great aerodynamic drag numbers. So much of it depends on bike fit, clothing material, head position and interaction of all of these elements along with your bike and component choices. 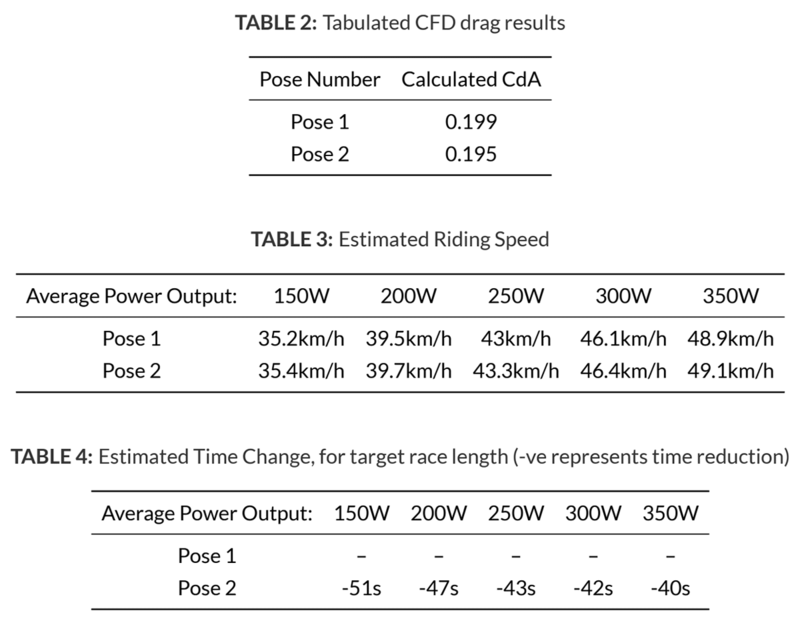 Fundamentally your drag characteristics involve you and your bike/components as a complete system, rather than being individual contributions from various components. In the past, testing this complete system would require you going to the wind tunnel, testing at the velodrome, or adhering to strict on-road testing protocols. In 2017 we released a beta version of what we called the Aero Analyzer (now part of our newly released Race Analytics feature) which can help by pulling aerodynamic drag data from your race files. Meanwhile both established companies and startups alike were rushing to create new technologies (or even adapt long existing technologies) for athletes and coaches to test their aerodynamics at a fraction of the cost of going to the wind tunnel. Much like the early days of the power meter, there are a lot of new competing technologies becoming available to consumers, at a wide range of price points, and with no official standard metrics or reporting. As you can imagine there is bound to be some significant confusion. At Best Bike Split we are obviously very excited about more people getting insight into their aerodynamic performance and sensitivity to positional/equipment changes, as it helps refine the most difficult input into accurate modeling, but at the same time we want to make sure athletes and coaches are informed on the pros and cons of these new systems as they come to market. Because of this we are creating an Assessing Aero series of case studies to help our users navigate this new world of aerodynamic measurement technology. When you think of a virtual rider you might immediately jump to Zwift, but in Zwift everyone has the same basic aero characteristics which only change based on equipment selection. What if that virtual 3D model was created exactly to your measurements with your bike and equipment modeled in extreme detail and placed into a virtual wind tunnel? Well that is basically what STAC has been working on for several years with the help of 3D modeling and Computational Fluid Dynamic simulations. This past winter we were able to test it out for ourselves and have been excited about the initial results, but even more so about the vast future possibilities of this technology. If there is one small downside to getting started with STAC's Virtual Wind Tunnel, it's that there is a hardware requirement to scan your initial 3D model. STAC sent us a loaner iPad and 3D scanner, but I've been told you can pick up the scanner for around $300 from structure.io . 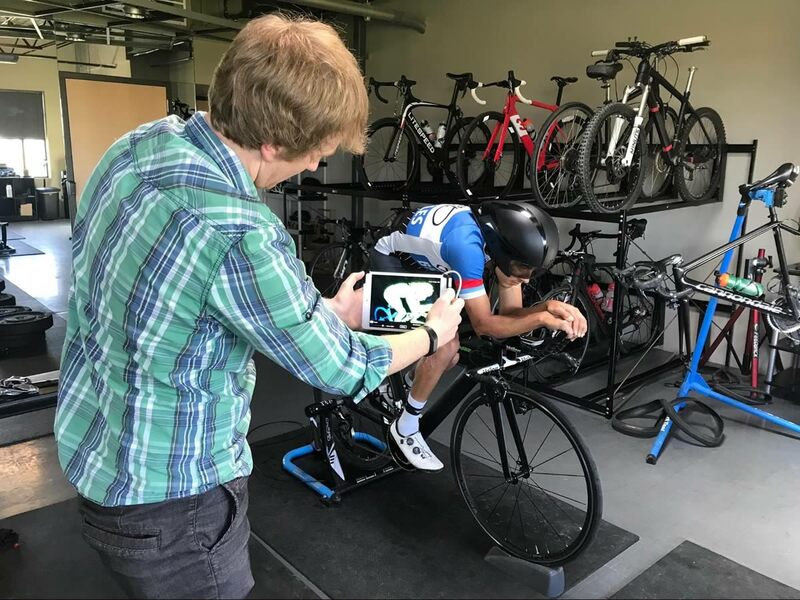 While this is is not an overly large investment, it is a barrier to entry and STAC is investigating ways to make the service available, including having certified scanning facilities, fitters and/or coaches perform scans as a service and making iPad's available for tri clubs and cycling groups. Once you have the hardware, using the scanner and the STAC app literally takes 60 seconds to perform a scan. For major position differences you will want to do multiple scans, but new scans shouldn't be needed for minor tweaks (more on this later). Using our in office TT specialist Giancarlo Bianchi, we performed 3 specific position scans on his TT bike. The first was his standard TT position, the second was his climbing on the bars stance, and the final was a supertuck position. Once we completed the scans the files were synched via a Dropbox account to the team at STAC to refine the 3D model and run the Virtual Wind Tunnel assessments. The basis of the STAC Virtual Wind Tunnel relies on computational fluid dynamics simulation. This same technique is used by many bike manufacturers for wheel and frame design and across industries for anything from car design to space capsule reentry evaluation. It is a very well established and accurate method for looking at the effects of air flow around objects. Earlier we mentioned the importance of looking at an athlete's aerodynamics as a complete system versus a sum of components and the STAC approach does just this, but without the cost associated with a real wind tunnel. The outcome of their analysis is a report detailing each position, CdA and the time impact of the different positions from a selected baseline. One drawback we discussed with the initial report as it relates to modeling accuracy for Best Bike Split's purposes, was the lack of yaw angle analysis (at the time it focused only on 0 yaw, but can easily be expanded for a range of test conditions). Another drawback was the static position of the model as the legs and wheels for the model are fixed. Both of these concerns are being looked at and with the latest data we have seen, they have been able to calibrate the models to account for the movement. In terms of time savings, they give some general guidelines as to how much time you could expect to save at various power levels, but for more specific race impacts STAC encourages you to use a more refined tool, like Best Bike Split to run detailed race models for various courses and weather conditions. The biggest benefit of the STAC approach are the limitless adjustment possibilities. With tunnel or velodrome/field testing if you want to try small hand position, aerobar tweaks or a new helmet you have to stop, adjust the bike and/or have access to all of the needed equipment. All of this has an associated cost in terms of dollars with the wind tunnel and velodrome or loss of valuable training time with field tests. With your 3D model STAC can adjust your body, arm, saddle, hand position and run countless tests at a low cost (roughly the same as their own compute cost) and with no training time impact. STAC is also building up their library of modeled helmets, bikes and wheels which would allow you to test the impact of other equipment options that most athletes do not have access to. The advantage of the vast number of scenarios and the possibility of eventually running optimization to find the ideal position tweaks and equipment choices make the STAC Virtual Wind Tunnel an extremely valuable tool for athletes, fitters, and coaches. STAC allows for the precision you get from a wind tunnel where minor details can be tested and compared, but expanded it to a much larger audience at a fraction of the cost and time. The benefit of the initial analysis is huge, but once your model is in the system the variability of current and future testing becomes much more valuable. One thing we often see with wind tunnel testing is that it is really good at discerning the impacts of changes in terms of what equipment, setup, position works better than other alternatives, but in the real world we can often see times and data that don't match the expected results. This is the difference between precision and accuracy which is often talked about when looking at Power Meter options. For performance, modeling accuracy is the key, so this is where we at Best Bike Split have the greatest interest. STAC has mentioned to us that clothing material is a an area that can not yet be modeled well and as we mentioned earlier the 3D models are currently static and they do not yet sweep across yaw angles; however, there are calibration factors they have added to help account for this. This doesn't mean that there is less value in wind tunnel or in this case Virtual Wind Tunnel testing but that the holy grail is a solution that is both precise and accurate. The benefit of the virtual system is that as STAC technology continues to mature your same model can be retested at any time. All that being said to get an idea of the accuracy of the Virtual Wind Tunnel data we put Giancarlo's STAC TT CdA numbers to the test against his actual race data from his second place finish at the Colorado State TT championship. For reference using our new Race Analytics Tool we get a Race CdA value from Giancarlo's ride of .1975 which is less than 1.5% from the STAC reported values. Granted this is just a single case and we would like to see more repeatable analysis going forward, we think the future is extremely bright for STAC and it's Virtual Wind Tunnel offering. For more information check out the STAC website and be on the lookout for our next set of Assessing Aero articles featuring the Notio Konect and Velocomp AeroPod.